Harry Soanes - THE MASSACRE AT LE PARADIS - HELL IN PARADISE - MAY, 1940. 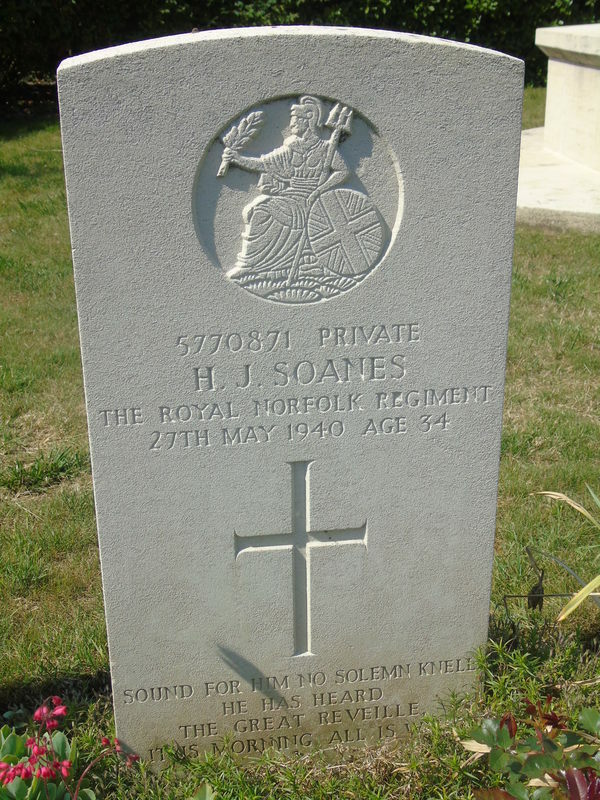 Son of Harry John and Rosina Matilda Soanes; husband of Jessie Ann Soanes, of Kirk Sandall. Yorkshire. ​Inscription includes the words: "Sound for him no solemn knell. He has Heard The Great Reveille. This Morning All is Won.